BRUCE W. BUNNELL, MD graduated from Wesleyan University and the University of Connecticut School of Medicine. 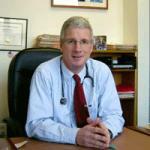 He did research in pediatric gastroenterology and trained in pediatrics at the Massachusetts General Hospital. He is a clinical instructor at Harvard Medical School. His wife is an obstetrician who is affiliated with the Brigham and Women’s Hospital and they have a daughter and a son. He has been in practice since 1990. TRACEY L. DALEY, MD graduated from Columbia College and Jefferson Medical College of Thomas Jefferson University. She trained at the DuPont Hospital for Children, where she successfully completed a project on neonatal hyperthyroidism. She returned to the Boston area (where she grew up) to practice primary care pediatrics. Her interests are reading, classical music, and physical fitness. She joined Centre Pediatrics in November 2000. 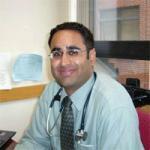 PARAG AMIN, MD graduated from Boston University and Boston University School of Medicine. He completed his pediatric residency at the Massachusetts General Hospital for Children where he met his wife. They have 2 young sons that keep them busy. Dr. Amin enjoys travel, cooking, reading and sports. He joined Centre Pediatrics in September 2006. LAURA DE GIROLAMI, MD graduated from Columbia College with a B.A. in Art History and then received her M.D. from Harvard Medical School. She completed her pediatric training at the Massachusetts General Hospital for Children. Her son, Lucas, was born during her residency in 2006 and her daughter, Isabella, was born in 2010. She enjoys cooking, international travel and spending time with her husband and children. She is fluent in Spanish, Italian and French. She joined Centre Pediatrics in August 2010. 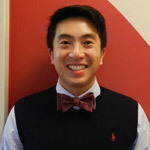 MICHAEL MA, MD (click for video) graduated from the University of California Los Angeles with a B.S. in Microbiology and Marine Biology and received his M.D. from Yale University School of Medicine. He completed his pediatric residency at the Massachusetts General Hospital for Children and trained at Centre Pediatrics under the mentorship of Dr. Parag Amin. He conducted research in pediatric cardiology and gastroenterology. Dr. Ma enjoys cooking, reading, tennis and rugby. He joined the practice in August 2015. CAITLIN KING, MD, MBA graduated from Duke University with a B.S. in Biology and a minor in Economics. She worked in finance for five years in New York City before heading to Tufts University School of Medicine to pursue her MD/MBA. 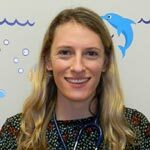 She completed her pediatrics residency at the Massachusetts General Hospital for Children in 2018. She enjoys running, cooking and spending time with her husband and her three young children – Charlotte, born in 2014; Cameron, born in 2016; and Lucy born in 2018. She joined Centre Pediatrics in January 2019. ROBIN T. KOSKINEN, PNP (click for video) graduated from Wellesley College with a B.A. in Biology and earned a Masters Degree in Secondary Science Education from UMASS, Amherst. She earned her Bachelors and Masters Degrees in Nursing from Regis College. 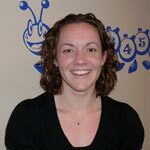 She trained at Somerville Pediatrics, at the Shriver Center and Children’s Hospital. 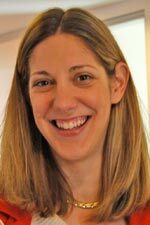 In addition to her clinical practice, she has worked as a graduate nursing instructor at Regis College and serves as a clinical preceptor for several graduate nursing programs in the Boston Area. She also initiated and continues to maintain our practice’s Asthma Management Program. She is an International Board Certified Lactation Consultant (IBCLC) and a Certified Infant Massage Instructor (CIMI). She is married and has a daughter and a son. Her interests include cooking, yoga, outdoor activities, reading, and spending time with her family. She joined Centre Pediatrics in October 1999. ELLEN W. McCUE, PNP (click for video) graduated from the College of Charleston with a B.S. in Biology and earned her Master’s in Nursing from Regis College. 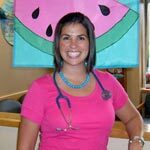 She has nursing experience at Children’s Hospital, New England Medical Center, and Lahey Clinic and Nurse Practitioner experience in Sudbury, Waltham, and Marion, MA. Ellen has two daughters; Kate who was born in February of 2011 and Caroline who was born in June of 2014. She enjoys cooking, traveling and spending time with her family. She joined Centre Pediatrics in October 2007. CHRISTINE SURIANI, PNP (click for video) graduated from Vanderbilt University with a B.A. in Psychology and earned her Master’s in Nursing at Vanderbilt University. 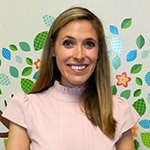 She has had nursing experience at Vanderbilt Children’s Hospital and Centre Pediatrics and Nurse Practitioner experience at Boston Children’s Hospital and in Natick and Chestnut Hill, Massachusetts. Christine enjoys helping new parents navigate the transition to parenthood. She loves hiking, skiing, being outdoors and spending time with her family. She is married and has a son. She joined Centre Pediatrics in August 2008. MAGGIE DYER, PNP (click for video) graduated from Cornell University with a B.S. in Human Biology, Health & Society and earned her Bachelor’s and Master’s in Nursing at Northeastern University. Prior to nursing, she coordinated a clinical research study at the National Institutes of Health with a focus on child obesity prevention and treatment. Maggie has completed additional training in concussion management including designation as a Credentialed ImPACT Consultant. She enjoys hiking, camping, running and travel. 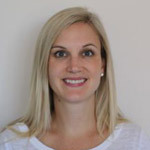 She joined Centre Pediatrics in August 2010 as a nurse and advanced to a Nurse Practitioner role in 2012. LAUREN BOCCUZZI, PNP (click for video)graduated from Boston University with a B.S in Business Administration, and earned her Bachelor and Master of Science in Nursing at the MGH Institute for Health Professions. 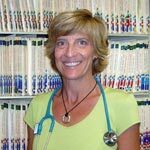 She has had nursing experience at Newton-Wellesley Hospital, and Nurse Practitioner experience in Westwood, MA. Lauren grew up in Green Bay, WI, before moving to Boston to attend college. She remains a loyal Packers fan. She enjoys spending time with her husband and three boys, James, Jonathan and Matthew, reading, and skiing. She joined Centre Pediatrics in June 2014. 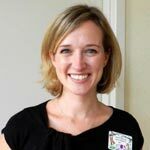 ALEXANDRA SMITH, PNP graduated from Scripps College with a Bachelor’s Degree in Fine Arts and earned her Master’s in Nursing at Vanderbilt University. 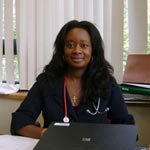 In 2013 she completed her preceptorship at Centre Pediatrics and has since worked in both private and community health practices in Massachusetts. In her free time she enjoys traveling, cooking and spending time with her husband and daughter, Emma, born in October 2016. 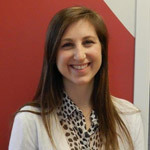 ELISE BITTERMAN, PNP graduated from Northeastern University with a B.S. in Health Science and earned her Bachelor and Master of Science in Nursing at The University of Pennsylvania. Prior to joining Centre Pediatrics, she worked as a nurse at The Children’s Hospital of Philadelphia. She enjoys being outdoors, reading and spending time with her family. All pediatricians at Centre Pediatric Associates have staff privileges at Children’s Hospital, Massachusetts General Hospital for Children, Beth Israel Hospital and Brigham and Women’s Hospital. All are Board Certified in Pediatrics by the American Academy of Pediatrics. All PNPs are Board Certified by the American Nursing Credentialing Center or the National Certification Board of Pediatric Nurse Practitioners and Nurses.